We know hard work and success, but fun and family is a big part of what we do and who we are every day. From giving back our time every year at Red Day, sharing a meal with out partners at Happy Hour, and being a little vulnerable and silly at Game Day, you’ll see there’s a lot of laugh and love in us. Our Vision…To be an example of excellence in everything we do, through education, cooperation, and service. Our Mission…To invest in our people so that we continue to build the most vibrant, dynamic, professional team of Realtors in and around Raleigh, powered by our culture of caring and always guided by integrity. 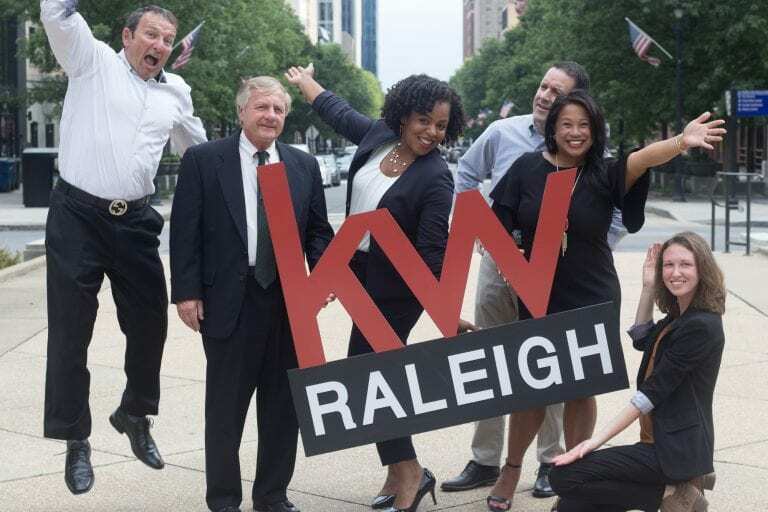 With over 100 years of combined experience, the leaders at Keller Williams Raleigh offer the best broker support in sales, technology, business consulting, accountability, lead generation training, and negotiation strategies. KW Raleigh is a company built and shaped by talented, driven real estate professionals who know the value of having a great career, accomplished colleagues, work-life balance, and a reputation for being the best in the business. The proof is in the numbers, and with the strength of over 200 agents KW Raleigh has continued outpace the Triangle MLS in Listings volume and units. KW Raleigh, also the home of KW Commercial has been successfully helping businesses expand and grow throughout the triangle. Combined with business expertise and unsurpassed market intelligence, KW Raleigh Commercial brokers can assist you to determine and surpass your business goals. Our commercial agents assist with tenant representation, office, retail, multi-family, industrial, hospitality, land and development or special niche businesses. Whether you want to grow in residential or commercial sales, KW Raleigh has the vision, systems, models and support for you to succeed. You will find opportunities for growth, support for achieving your objectives and a true sense of family and belonging.